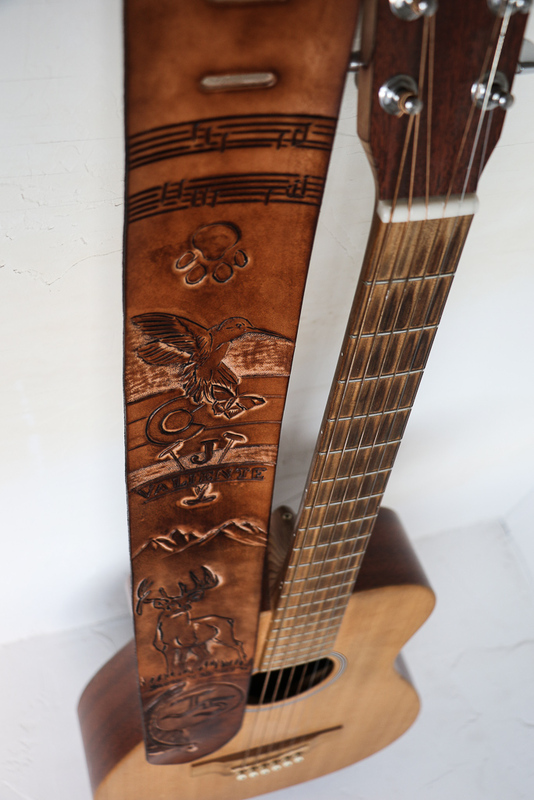 This custom leather guitar strap is hand-cut from premium full-grain vegetable tanned leather. The eco-friendly stain is applied by hand. 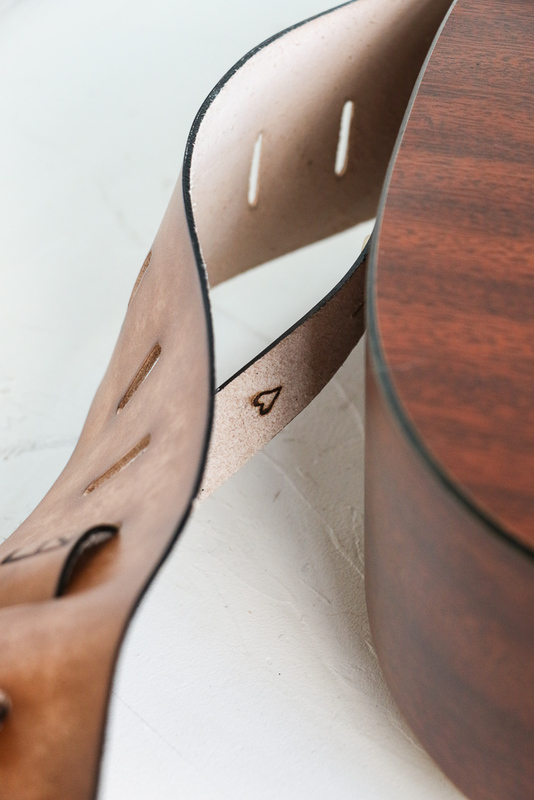 The entire strap was sketched out and then tooled by hand. 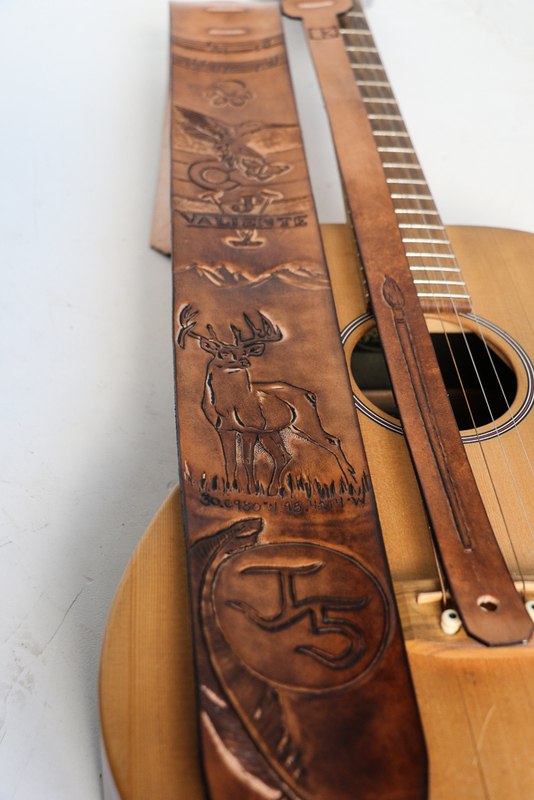 Packed full of sentimental meaning, this custom guitar strap is about to become a special gift.